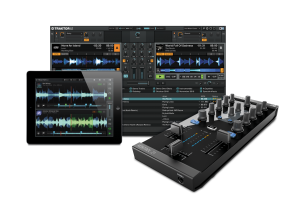 Native Instruments have announced TRAKTOR KONTROL Z1 – said to be the world’s smallest professional mixer and audio interface to natively connect to both the TRAKTOR DJ App for iPad and iPhone, and TRAKTOR PRO 2. When combined with the critically-acclaimed TRAKTOR DJ App, the Z1 adds headphone cue, and dedicated faders, filter and effects controls, and 3-band EQ for each channel. The integrated audio interface boosts audio output to club-ready levels – an important feature for iPad, iPad mini, iPhone and iPod touch setups – all without interfering with TRAKTOR DJ’s acclaimed touch interface. TRAKTOR KONTROL Z1 also offers established TRAKTOR PRO 2 DJs a highly portable mixing interface when compact size and professional performance features are needed. Following TRAKTOR DJ’s overwhelming popular success and warm critical reception, TRAKTOR KONTROL Z1 now provides TRAKTOR DJ users with an all-in-one 2-channel mixer, controller, and 24-bit soundcard. Its dedicated faders, filter and effects controls, and 3-band EQ for each channel automatically map to the software, instantly giving DJs added tactile control over their iPad, iPad mini, iPhone and iPod touch setups. The Z1′s cue section delivers headphone pre-listening of the next track for fluid, professional mixing, while the built-in 24-bit soundcard provides club-ready sound without the need for additional hardware. This combined with the Z1′s compact footprint gives users the most portable TRAKTOR DJ setup available today. With iPad, iPad mini, iPhone and iPod touch turned on, TRAKTOR KONTROL Z1 even keeps the device charged, assuring DJs hours of performance fun. TRAKTOR KONTROL Z1 connects to iPad, iPad mini, iPhone or iPod touch with an included 30-pin connector. Using the Z1 with iPad 4th generation, iPad mini, iPhone 5 or iPod touch 5th generation requires an Apple Lightning to 30-pin Adapter, which must be purchased separately from Apple. MiDi-to is a wireless DJ MiDi controller designed for Serato Scratch Live™. 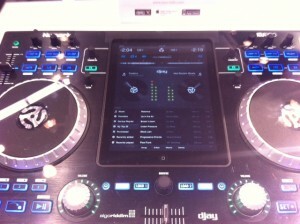 It is the first iPad MiDi controller designed for Serato that does not need any additional software to work. 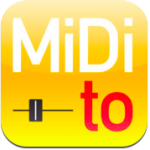 MiDi-to takes advantage of the Core MIDI framework which minimizes setup and latency. *Works with iPad, iPad 2 and the new iPad. *Wireless control with virtually no latency (less than 5ms) without the need of internet or a router. Our intention is to bring back the DJ’s attention to their DJ set instead of their computer. Remix tracks on the fly by moving your finger around the screen. From 1/32 to 32 bars! Real-time finger drumming and remixing galore! MiDi-to offers immediate response and an error-proof layout for extreme cue-juggling. Quickly access and control all of Serato;s ultraFX and combine them with Loop Rolls. Flip the track with just one tap. 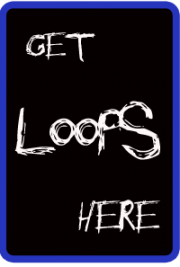 Easily and precisely make auto loops. From 1/32 to 32 bars. via large touch faders for 6 FX. Change the FX beats on the fly for interesting results. button. Quickly load tracks without making mistakes thanks to the ergonomic buttons. Quick setup: Just connect to your Mac via Wi-Fi, launch MidI-to, tap on the name of your connections and your are ready to go! Included tutorial: Simple tutorial made for DJs not IT professionals. Available offline in case you need while at the Club. The MiDi-to equipped iPad can be seamlessly integrated into a DJ setup providing a more hands-on approach to Serato’s features while enabling the DJ to perform in novel ways. MIDI-TO REQUIRES SERATO SCRATCH LIVE™ SOFTWARE AND HARDWARE CONNECTED TO A WI-FI EQUIPPED MAC. IT HAS BEEN TESTED AND OPTIMIZED FOR THE SL1 INTERFACE. NO ADDITIONAL SOFTWARE NEEDED FOR SETUP. WE RECOMMEND THAT YOU DOWNLOAD OUR OPTIMIZED SERATO MIDI MAPPING PRESET FROM OUR WEBSITE FOR A QUICK AND EASY SETUP. You just need to connect the iPad to your computer via Wi-Fi. Thanks to your iPad’s wireless capability, you’ll have access to virtually any song instantly. iDJ Pro empowers you with access to the cloud, allowing you to download tracks and have them pumping in seconds. iDJ Pro is fully integrated with Algoriddim’s popular djay for iPad app and can work with other Core MIDI-enabled apps. It’s also AirPlay compatible, giving you the flexibility to blast your set wirelessly through AirPlay speakers. iDJ Pro comes ready to party with professional microphone and external device inputs as well as balanced XLR master outputs. 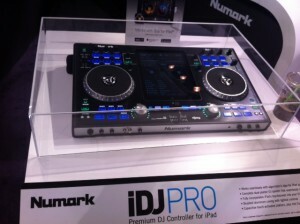 Get your iPad in the mix with iDJ Pro from Numark.